I called the sender to ﬁnd a very young man on the other end of the line. I said, “I am sorry, I didn’t understand your question. He said, “Because, I can’t ﬁnd work.People do not love me. In fact, I am an utter failure...”, and thus he began to relate to me his long story in order to prove that he had failed to develop his interpersonal skills and was unsuccessful in utilising his talents. This is a problem with many people. Why do some of us feel inferior? Why do we look at those at the peak of the mountain while thinking of ourselves as unworthy of reaching that peak as they have, or even climbing it as they did? I once sat with a very old man in a public gathering. Most of those present were people with the usual skills and abilities. The old man was busy speaking to whoever was sitting next to him. He did not stand out in the crowd for any reason, except by virtue of his old age. I turned around to look at him and noticed that he seemed very happy to share this information with me. He was delighted to have accompanied a successful man once in his life. I said to myself, “Poor man! Why did you not become as successful as Ibn Baz? If you knew the way to success, why did you not pursue it? We all may say at some time or another, “We knew so-andso and we sat with so-and-so.” But this is nothing to be proud of. What one can be proud of is to scale the peak as they did. Be brave and from now on be determined to utilise all the abilities you possess. Be successful. Replace the frown on your face with a smile, depression with cheerfulness, miserliness with generosity, and anger with perseverance. Turn your calamities into occasions of joy and your faith into a weapon! Enjoy your life, for it is brief and there is no time in it for anguish. As for how to do this, then this is the reason for my writing this book. So bear with me until the end, with Allah’s permission. You are brave enough to be determined and persistent on the development of your interpersonal skills, and if you are willing to take advantage of your abilities and talents. 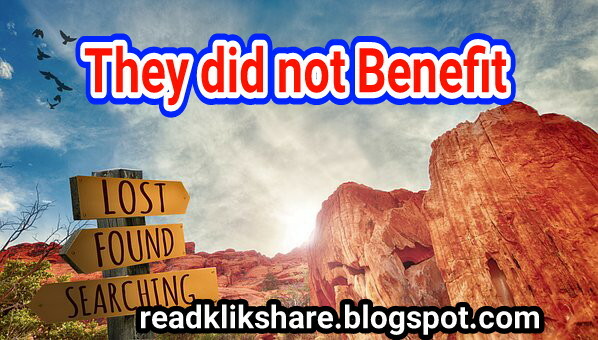 0 Response to "They Did Not Beneﬁt"